The band specialises in performing songs and dances that get their audiences involved. The band is equally happy in playing at tables in restaurants and encouraging people to sing along as it is calling bush dances for everyone to get up and have a go. Their arrangements of Australian folk song have parts especially composed so that most people can very easily join in. Typical events the band plays at are weddings, birthday parties, re-unions, work place celebrations, outdoor events, get-togethers, sports nights and in schools. The Band specializes in performing songs and dances that get their audience involved. The Bush Cabaret is one full day of singing, dancing and drama production. Designed for Juniors and senior classes. Save yourself up to 100 hours* and find out why over 1200 schools have booked this acts one day production! Choose from The Bush Cabaret, The Sixties Happening, The Country Show, Surf Show and The Bush Xmas. The band can play all your favourite bush songs and dances and call them as well. For schools they talk about the instruments and prepare the children or adults for their own bush dance. They present folk dance with spirited good humor. 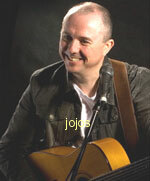 He is available to play at your venue or function and his extensive repertoire covers everything from Irish Ballads to popular (and unpopular) favourites. He can operate as a solo act or can bring along a band if that’s what you want. Over the years he has provided music for hundreds of weddings, birthday parties and corporate functions. His years of experience in this field have given him an insight into what works and what doesn’t work in the world of private functions, and he is happy to tailor an evenings entertainment to your needs and your budget. One of the many musical options available is a “roving” duo of violin and guitar. This duo performs either “unplugged” or amplified as you require, and is perfect for a wedding ceremony or for any function where a touch of class is needed.